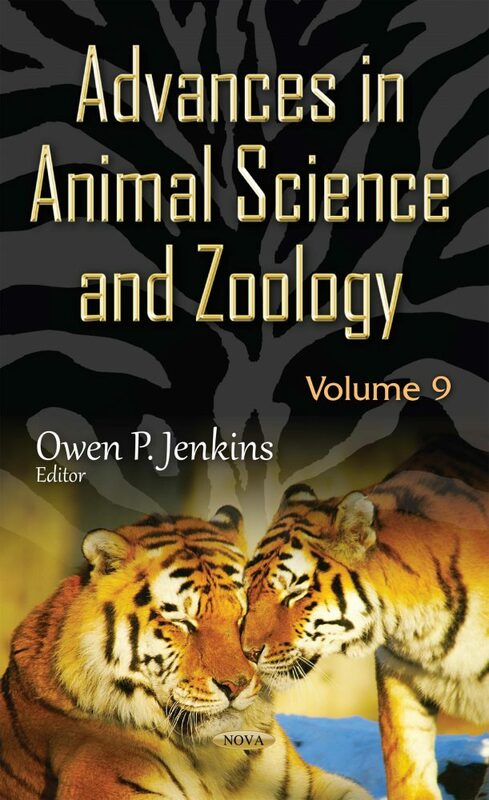 This book presents a comprehensive review of recent advances in animal science and zoology research. Chapter One presents an overview of bacterial diseases in animals, the present scenario of a “post-antibiotic era”, and summarizes the mechanisms of action, purposes and potentials of the recent and forthcoming biotechnology applications. Chapter Two is mainly designed to cover the description of marine natural products currently used with high-value in the market, as well as to harbor the multiple biological and therapeutic properties of these multipurpose marine organisms. Chapter Three examines nutrient ecology and the dynamics of deer herbivory in a temperate ecosystem. Chapter Four reviews impacts of outfitters on free access to white-tailed deer habitat, hunting opportunities, and local residents in the state of Illinois. Chapter Five presents information related to the biodiversity and distribution of nematodes belonging to the families Longidoridae and Trichodoridae in different habitats in the countries belonging to the CIS (Commonwealth of Independent States, formerly known as the USSR). Chapter Six summarizes the population size and trend of elephants in the Laikipia-Samburu-Marsabit ecosystem. Chapter Seven provides comments on genome size, heterochromatin and species diversity in salamanders and other vertebrates.